Jessamine Piece Quilters – We love quilting in Jessamine County, Kentucky! This year’s group project quilt is “Barn Quilts of Jessamine County” . 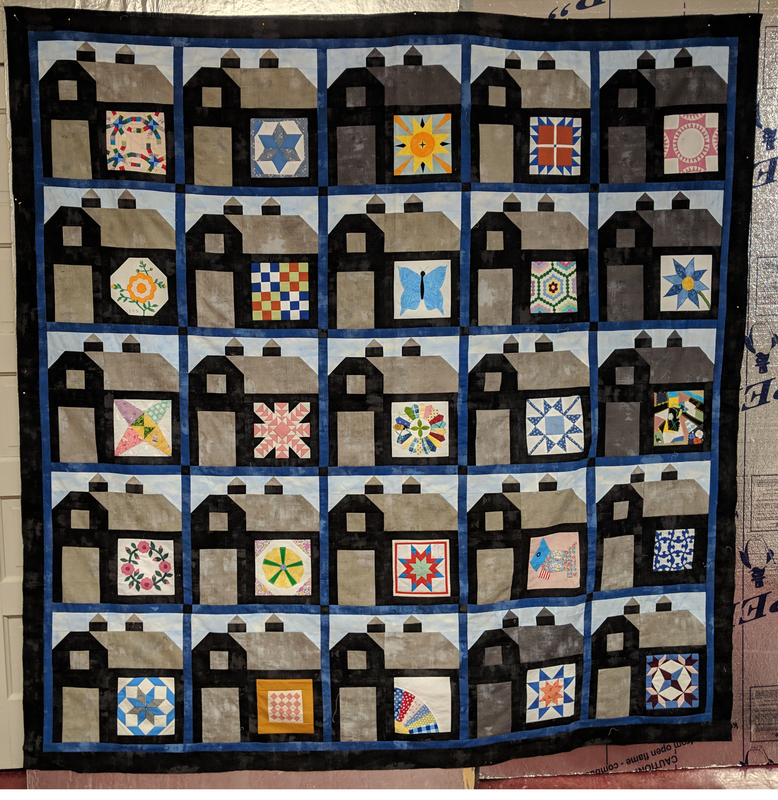 Please come to our quilt show on Saturday May 18, 2019 to see and learn about this quilt as well as other quilts in our show. Jessamine Piece Quilters are an active group of quilters in Nicholasville, Kentucky (Jessamine County). Once a month we have a quilt class, either taught by one of our members, or a guest teacher. Every year we make a quilt together and raffle it (or another quilt) off for a donation to Indian Summer Camp for children with cancer.